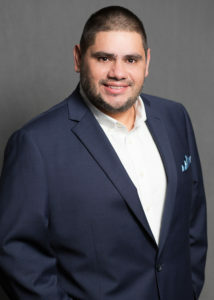 Meet Angel Vazquez, Strategic Accounts Representative for GeoSurgical. Angel handles the Latin American and Caribbean markets. Angel has been with GeoSurgical for almost 1 year. His career began in sales, where he found his true passion. What does GeoSurgical do and how does that help our clients? GeoSurgical is the international side of the business – we develop clients all over the world and sell to all kinds of customers. Our scope includes small clinics, hospitals, surgical centers, R&D engineers, exporters, and distributors. We make it possible for customers to acquire products from the USA at a fraction of the OEM price and build bridges by serving them in their native language. Tell our readers about the three most important lessons you’ve learned during your time at WestCMR. During these months, I have learned to follow the footprints of my CEO, Mr. Randy Ware, trying to mimic his motivation and wisdom and help others to believe that there are still honest people out there. I have learned to find and implement strategies to not just conduct a one-time transaction but establish a long lasting relationship with customers all over The Caribbean and Latin America. They know they can rely on me and trust every transaction is seamless and honest. I have learned about the different supplies we carry for every specialty, as well as the different functions they do. With this knowledge, I am able to call the right customer to offer the products they might need. I honestly always thought about the amazing quantities of supplies going to waste and not only contaminating landfills, but the opportunity being missed considering most of those supplies have shelf life remaining. Why would you recommend someone to consider a career at WestCMR? In my forties, I had never worked for such amazing company that truly cares for me and my family. Working for WestCMR has changed my perception of working for someone and makes me come to work with drive and motivation every single day, to give the best of me.